33% of Indian women in the working-age population are employed. That is approximately around 12 crore 15 lakh women. (https://www.imf.org/external/pubs/ft/wp/2015/wp1555.pdf) Would you ask these women to work for 8–9 hours at their workplaces and then spend about 5 hours at homes cooking, cleaning and making themselves pretty? Especially when men aren’t expected to do any of these chores at home. By perpetuating this belief that women should do ALL household chores, you are overworking and overburdening the wives and that is unfair. Even if your course is meant for wives who stay at home, why does your ad suggest that she should win the “praises of everyone”? Men do not have the pressure to please everyone (your ad didn’t think so), so why should women? Men do not have look pretty to be approved, so why should women? Women’s lives need not be dependent on others. They are full humans, in their own right. There is nothing wrong with what’s in your curriculum, many of them are essential skills. Our question is, why are you only targeting women, when a marriage consists of a man and a woman? 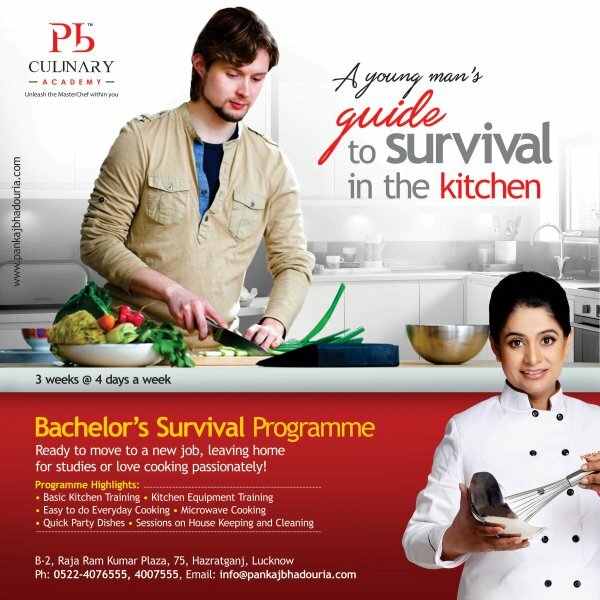 You had responded to our tweet with an ad for a “Bachelor’s Survival Programme”. 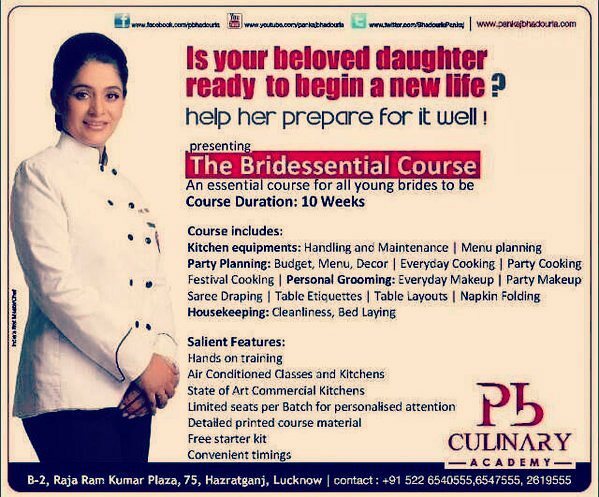 In this advertisement, you address the young men directly – “Ready to move to a new job, leaving home for studies or love cooking passionately?” In the advertisement for the “Bridessential” course, you address the parents of the bride, when you ask, “Is your beloved daughter ready to begin a new life?” In your eyes, then, young men are independent and can take a decision on whether to join a cooking course, while women are dependent and cannot make this decision themselves. These women are ready to get married, yet they are so childish that their parents have to make this decision for them. What will it take for you to realize that women too can “move to a new job, leave home for studies” or just “love cooking passionately”? And that men too may want to look pretty and stylish, want to stay home and cook, and entertain guests?